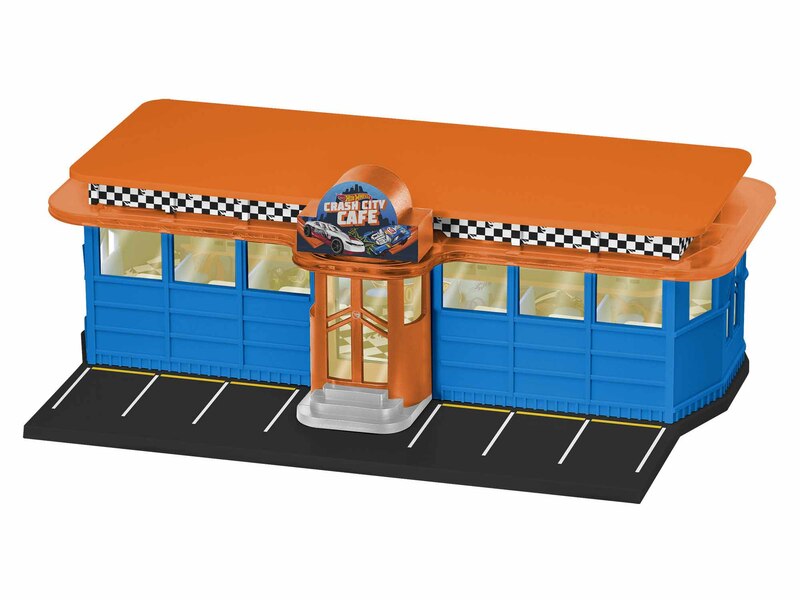 Take a pit stop and park your Hot Wheels™ at this AWESOME café! Featuring a lighted and detailed interior, this Plug-Expand-Play accessory takes your train layout to the next level! Dimensions: 6 3/4" x 10 1/2" x 3 3/8"